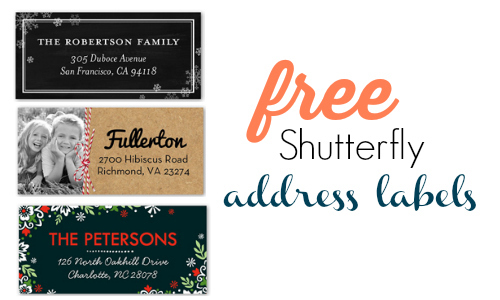 Get a set of 24 FREE address labels for every 25 cards you purchase at Shutterfly! Use the Shutterfly coupon code 24ADDRESS to get this Shutterfly deal. The deal applies to 6×8 and 5×7 card sizes. Only new customers are eligible for this deal.